Where the musicians are, you will find coffee. It will not just be any coffee, but it will inevitably be local roasted, poured over, aero pressed, french pressed, freshly ground on the newest kickstarter hang grinder with 15 coarseness settings (yep... I bought that one!) and brewed with the utmost care and perfection. 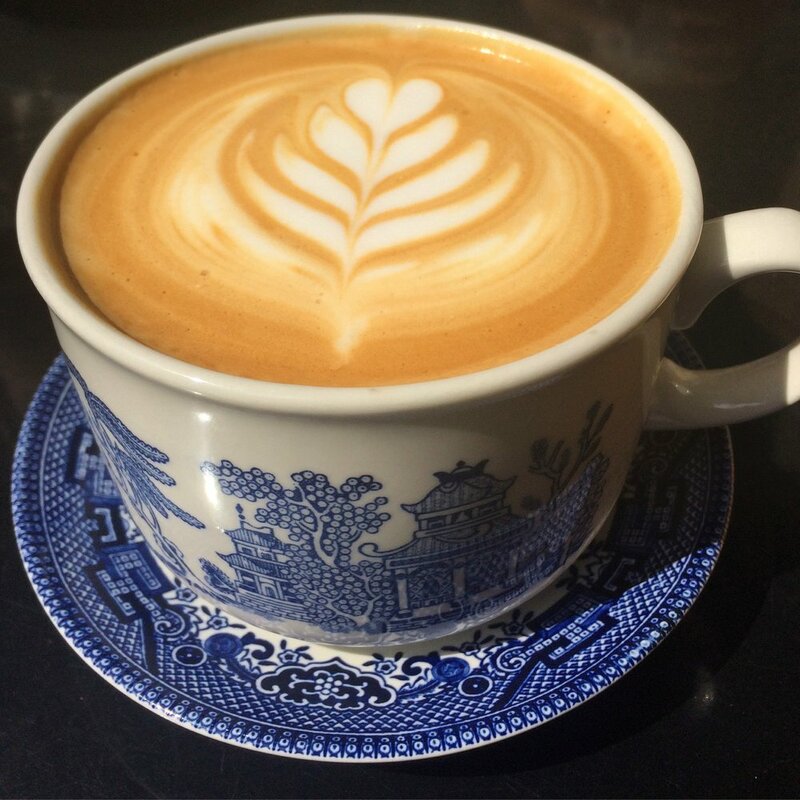 When they pour a latte, cortado, or cappuccino, there will be a beautiful design on top and people around you are probably taking pictures of it for instagram. (Yep, i've done that too!) You will find us at the one or two coffee shops in town where we don't mind paying $5 for a cup of coffee or waiting 10 minutes for it to be finished because we know they will make something that to us, is like a work of art. 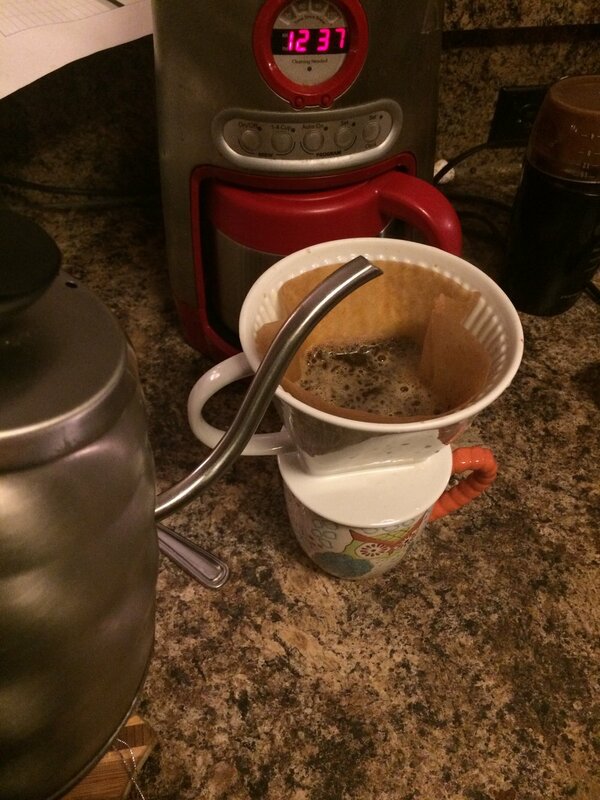 I love the pour over coffee method because one, it is delicious, but it also illustrates to me a process that parallels my art as a songwriter. Really, it does! For pour over coffee, you use fresh ground beans and slowly and strategically pour hot water over it to make a single cup of coffee. Let me elaborate... stay with me, this will be fun! THE BLOOM - The first step is to bloom the precisely, freshly ground coffee, by pouring some water over all the beans and waiting for about a minute. This is important to start unlocking the flavors in the coffee beans. I just love the fragrance of the coffee that comes up as you wait for that minute and watch the coffee bloom like a little flower. THE POUR - You must pour the water very slowly, a little at a time in little circles in the center of the cone for right around 3 minutes after the bloom. There is a patience in this step that I love. If you go to fast, I have found the flavor is less rich and if you go to slow and forget about steady pouring the water, the flavor turns bitter. The process of just standing there and pouring that water, smelling the brewing coffee, creating something delicious is so exciting to me. We are artists with unique flavors ready to be extracted. We have a fragrance to our melodies that only we carry. Through patience and trust in the process, we can see the best of what is within us come forth. Sometimes we share it with the world and other times, we create something to sip on in the hidden loveliness of the morning that we share only with ourselves and our creator who first showed us how to create. I wonder if whether they realize it or not, my fellow musicians and artists love coffee because it's potential made into something so unique and delicious, through so many methods, parallels their own craft. But on another note, there is the reality that as a musician and songwriter, there are many late night gigs, recording and writing sessions, and early morning church services that make coffee and the glorious caffeine just necessary! May God give you patience in the process today, and may he show you the beautiful flavors that you alone carry inside through this life you live.